Depth and detail like never seen before. Introducing our brand new Champagne color that will add a pop of personality to your laundry room. 2-in-1 device with built-in S-Pen and up to 1TB of storage. A lot more tablet in a thinner frame. Get the latest TV every two years. 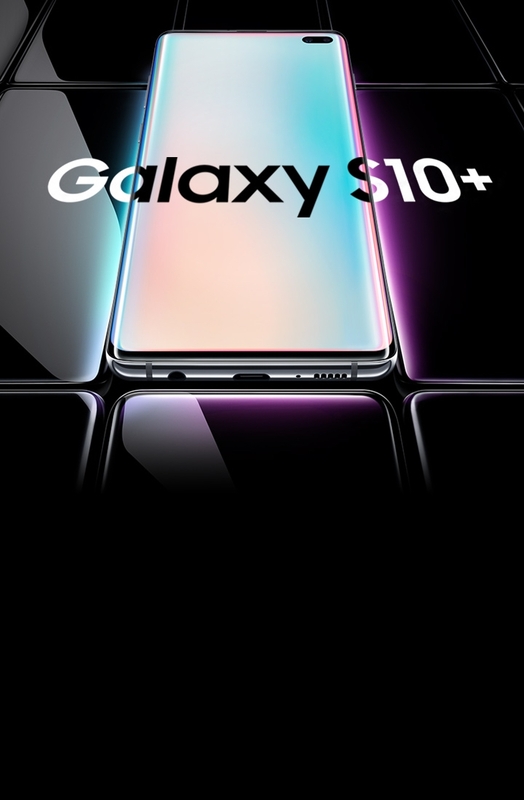 ᵝLimited time only, while supplies last, exclusively on Samsung.com and the Shop Samsung App (excluding in-person Samsung Studios transactions made using the App). You must opt-in to the Samsung Upgrade Program, apply and be approved for a financing account (“Financing Account”) under the Samsung Financing Program and make an initial purchase of an eligible Samsung television (“Initial Device”) on a 36 month payment plan using your Financing Account. After 24 months from the date Samsung ships your Initial Device to you, if your Financing Account is in good standing and you purchase a new eligible Samsung television that is of equal value to or greater value than your Initial Device (“Upgrade Device”) under the Upgrade Program on a new 36 month payment plan using the Financing Account, then you will receive an upgrade credit (“Upgrade Credit”) equal to the balance of the purchase price of your Initial Device plus applicable taxes and shipping charges (“Initial Amount”) that remains outstanding on your Financing Account, up to a maximum of 33% of the Initial Amount (“Maximum Credit”). Neither the Initial Device nor the Upgrade Device may be resold. The Upgrade Program may be modified or cancelled at any time in Samsung’s sole discretion. Additional terms apply. Void where prohibited. Click here to see the Upgrade Terms. ‡Must be an eligible legal resident of the 50 US/DC & at least 18 years old to participate. Terms and conditions apply. Purchase at least 2 eligible Samsung Home Appliance products in the same transaction (Refrigerators, Ranges, Dishwashers, Wall Ovens, Cooktops, and Range Hoods) between 4/18/19 and 5/15/19 on Samsung.com (Samsung Chef Collection, Microwaves, Laundry, Vacuums, and all accessories are not eligible) and depending on your Qualifying Purchase amount you will receive an instant rebate of $200 if you purchase 2 or more products or a $300 instant rebate if you purchase 3 or more products. Quantities limited; offer valid while supplies last. One claim per household. Offer is not valid on Samsung.com only. Additional restrictions apply. Click here for full terms including full list of Qualifying Appliance products. Offer is valid and can be combined with other Samsung offers, rebates, programs, or promotions unless otherwise stated. ±Must be an eligible legal resident of the 50 US/DC & at least 18 years old to participate. Terms and conditions apply. Purchase any qualifying FlexWash™ & FlexDry™ pair from the 9900 or 9600 series between 1/3/19 and 7/10/19. Both items must be purchased in the same transaction from a participating retailer in-store or online. This specific offer is not valid on purchases made from Lowes, Best Buy, Costco, or The Home Depot, but please visit each retailer in-store and online to view similar offers on these products. Eligible washer may be from the 9600 or 9900 series AND one  eligible dryer may be from the 9600 or 9900 series. Must submit valid offer claim online by 10/8/19 or mail-in postmarked by 10/8/19 and received by 10/18/19. After offer claim form is validated, Samsung will send a $200 Visa® Reward Card to the address on offer claim form. Quantities limited; offer valid while supplies last. One claim per household. Additional restrictions apply. Click here for full terms and to submit offer claim form and purchase receipt. Offer is valid and can be combined with other Samsung offers, rebates, programs, or promotions unless otherwise stated. The OmniCard Visa Reward Card is issued by MetaBank®, Member FDIC, pursuant to a license from Visa U.S.A. Inc. The Visa Reward Card can be used everywhere Visa debit cards are accepted. No Cash or ATM Access. This optional Offer is not a MetaBank nor a Visa product or service; and neither MetaBank nor Visa endorse this Offer. *For a limited time only, on Samsung.com/Shop Samsung App, pre-order or purchase a new qualifying Galaxy device (“Qualifying Purchase”), send in your qualifying trade-in device to Samsung through the Samsung Trade-In Program, and if Samsung determines your trade-in device meets all eligibility requirements, you will receive a trade-in credit specific to your qualifying trade-in device to apply toward your Qualifying Purchase. Device models that currently qualify for trade-in and trade-in credit amounts associated with those models are available on Samsung.com and the Shop Samsung App; eligible models and amounts may change at Samsung’s sole discretion. To be eligible for trade-in, your qualifying device must meet all Trade-In Program eligibility requirements, which include, but are not limited to, that the device powers on, holds a charge, and does not power off unexpectedly; has a functioning display; has no breaks or cracks in the screen (unless a cracked screen offer applies); has no breaks or cracks in the case; has no liquid damage (whether visible or not); has no other defects that go beyond normal wear and tear; is not on a black list; has a verified FCC ID; has been reset to factory settings; has all personal information removed; has all software locks disabled; and is owned by you (leased devices are not eligible). Anticipated trade-in value will be applied as a credit at time of purchase, but, if you do not send in your trade-in device within 15 days of receipt of your Qualifying Purchase, you will be charged back for the trade-in credit applied to your purchase, or if you send in your trade-in device within 15 days of receipt of your Qualifying Purchase but Samsung determines your device does not meet all eligibility requirements, you will be charged back for the trade-in credit applied to your purchase minus $25. Participation in this program does not excuse you from contracts with your carrier or retailer (or any related payments or fees) for the device that was traded in. Limit 1 trade-in per Qualifying Purchase. Samsung reserves the right to modify or discontinue this offer at any time. The Trade-In Program cannot be combined with any other Samsung, carrier or retailer promotions, discounts, or offers unless specifically provided for in the terms and conditions of such offers. Additional terms, including terms that govern the resolution of disputes, apply. Click here to learn more.